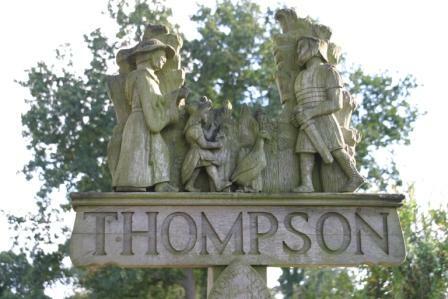 The role of the Parish Council is to serve local residents who live in the parish of Thompson. The council consists of seven councillors and the Clerk. Parish Council Meetings are usually held bi-monthly on the third Tuesday of the month in Thompson Community Hall, although there are occasions when extra meetings are called. Except for the AGM the meetings start at 7.30pm. The meeting for the current and previous years are listed below. They are also advertised on notice boards throughout the parish. Members of the public are most welcome to attend and speak to Members about any issues during the public session or just sit and listen. If you wish to contact Councillors or the Clerk their contact details can be found using the members link above. Alternatively one or two Councillors are normally available for a chat at the Coffee Mornings held in the Village Hall on the first and third Tuesdays of every month and Councillors are also available in the Village Hall prior to Council Meetings. Should you wish to write to the Council your letters/comments can be left in the suggestion box attached to the bus shelter which is checked regularly. Please note that the venue for meeting will change to Thompson Community Hall as soon as it becomes availabe for use. The venue of all our meetings is shown on the agenda for the meeting. We will publish here the Agenda for the upcoming parish council meeting as well as the minutes for the last meeting. The agenda will be available no later than 3 clear working days before the meeting and the subsequent draft minutes will be available with not later than one month after the meeting takes place. The document that interests you can be viewed by clicking on it.